This week we have a special guest on the podcast: Eddy Elfenbein of Crossing Wall Street and PM for the $CWS Exchange Traded Fund. This is a show about Technical Analysis so I think it’s important to also include some of the masters of Fundamental Analysis to tell us how they find charts and technicals helpful in their process. 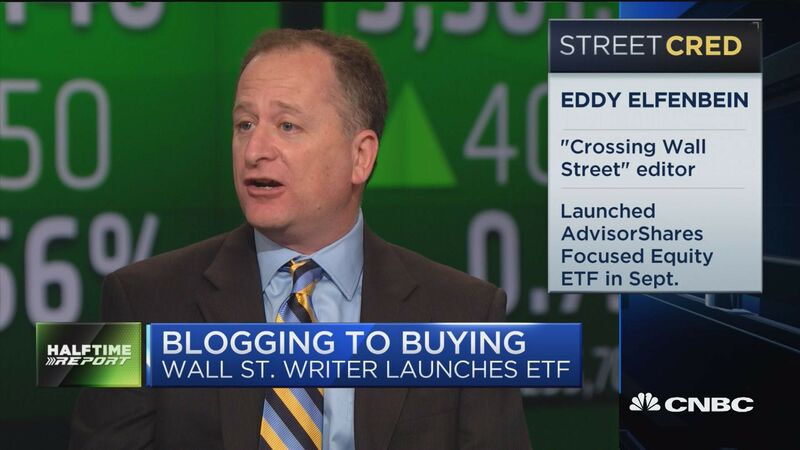 Eddy is one of the original Financial Bloggers and I have a ton of respect for him and his work. He is a pioneer in both social media and portfolio management. I love how he explains his appreciation for Intermarket Analysis and Relative Strength as useful tools throughout his process. As many of you know, these two are near and dear to my heart so it’s cool to see the Fundamental community embracing them in similar ways. This was a fun conversation! ** There are no Charts available for this podcast. Disclaimer: The information, opinions, and other materials contained in this presentation is the property of All Star Charts, a wholly owned subsidiary of Allstarcharts Holdings, LLC, and may not be reproduced in any way, in whole or in part, without express authorization of the copyright holder in writing. The statements and statistics contained herein have been prepared by Allstarcharts Holdings, LLC based on information from sources considered to be reliable. We make no representation or warranty, express, or implied, as to its accuracy or completeness. This publication is for the information of investors and business persons and does not constitute an offer to sell or a solicitation to buy securities or subscribe for interest in any investment. This document may include estimates, projections and other “forward-looking” statements, due to numerous factors, actual events may differ substantially from those presented. Opinions and estimates offered herein constitute Allstarcharts Holdings, LLC’s judgment and are subject to change without notice, as are statements of financial market trends which are based on current market conditions. An investment in the fund is subject to loss of capital and is only appropriate for persons who can bear that risk and the nature of an investment in the fund. Allstarcharts Holdings, LLC is not a registered investment advisor or registered investment company. These materials are not intended to constitute legal, tax, or accounting advice or investment recommendations. Prospective investors should consult their own advisors regarding such matters.